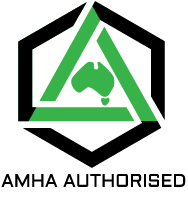 The AMHA Mark of Authenticity signifies that the honey product has been tested and approved according to the Association’s Criteria for Defining Authentic Australian Manuka Honey. In order to provide consumers of Manuka honey with absolute confidence that the honey they are purchasing is pure 100% Australian Manuka, the AMHA has launched its Mark of Authenticity. The Association’s Scientific Advisory Committee, comprising leading scientists in the field, has established a set of standards that define authentic Australian Manuka honey. These compounds are all naturally occurring in authentic Manuka. The level of MGO determines the potency of the honey, while the amount of DHA shows that this potency came naturally from the bees collecting Manuka nectar, and the leptosperin is further proof of authentic Manuka. The Mark of Authenticity presents a terrific opportunity to not only promote your own Manuka honey, but also to protect consumers from purchasing fraudulent Manuka honey. Are you an AMHA Member?